Ivy Cottage is a three bedroom riverside property in the village of Colchester in Essex. 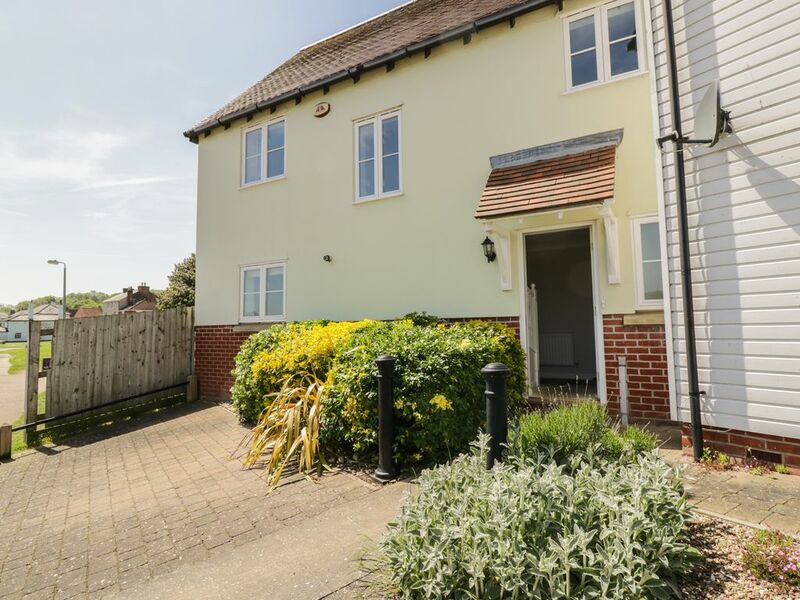 It comes with three bedrooms including a double with an en-suite, a further double and a single, there is also a bathroom and a cloakroom, the property can sleep five people. The interior also comes a kitchen and a living/dining room with a gas fire. The outside of the property provides off-road parking as well as a lawn and a patio with furniture and a hot tub. Ivy Cottage is a homely property placed well for exploring the towns and countryside of Essex. Amenities: Gas central heating, gas fire. Electric oven, gas hob, microwave, fridge/freezer, washer/dryer, dishwasher, TV, DVD, BluRay, CD Player WiFi, selection of books, games and DVDs. Fuel and power inc. in rent. Bed linen and towels inc. in rent. Lawn and patio with furniture. 1 well-behaved dog welcome. Sorry, no smoking. Shop and pub 5 minute walk. Region: With many quaint, seaside and market towns, historic sites and miles of glorious coastline to explore, Sussex has it all for a great holiday destination. Town: Rowhedge is a village on the banks of River Colne, close to the attractive town of Colchester. It comes with a small range of amenities including two pubs, two cafés and a shop. A foot ferry will take you to the well-stocked town of Wivenhoe. Also nearby is the stunning town of Colchester with its fine architecture and wealth of amenities. The Dedham Vale AONB is within reach for those of you who love the outdoors. Three bedrooms: 1 x super king-size double (zip/link can be twin on request) with en-suite shower, basin and WC, 1 x double, 1 x single with pull out trundle. Bathroom with a shower over bath, basin and WC, ground floor cloakroom with basin and WC. Gas central heating, gas fire. Electric oven, gas hob, microwave, fridge/freezer, washer/dryer, dishwasher, TV, DVD, BluRay, CD Player WiFi, selection of books, games and DVDs. Fuel and power inc. in rent. Bed linen and towels inc. in rent. Lawn and patio with furniture. 1 well-behaved dog welcome. Sorry, no smoking. Shop and pub 5 minute walk.